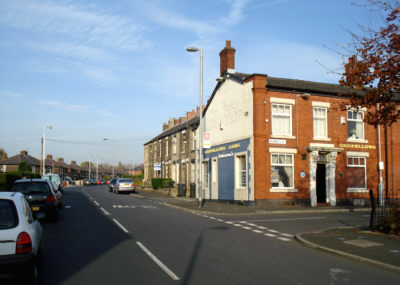 The Ladysmith Barracks on Mossley Road were once the proud home of the Manchester Regiment. 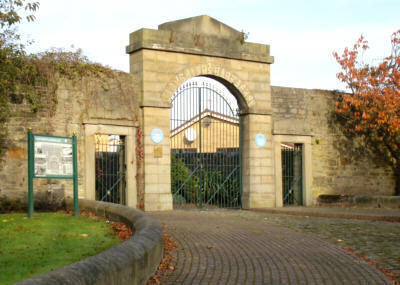 Now a modern housing estate lies within the preserved gates and wall. 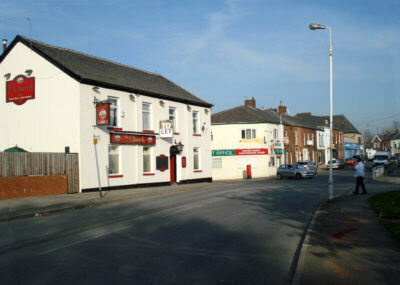 The Heroes of Waterloo public house, Mossley Road, Ashton. 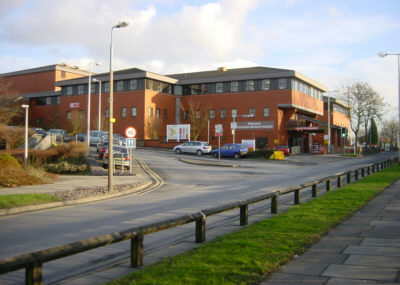 Tameside Hospital, from Fountain Street. The Oddfellows Arms on Kings Road. 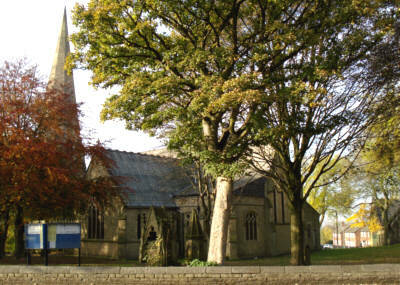 St Johns Church, Hurst Cross. 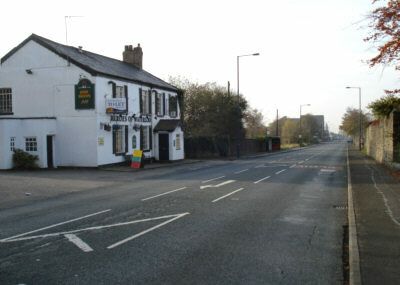 The Church Inn on Kings Road, Hurst Cross. 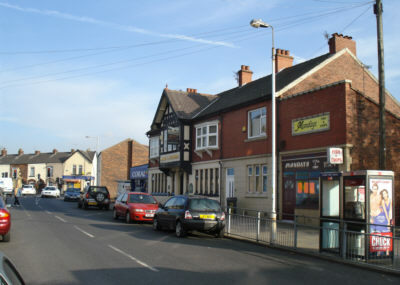 The Hare and Hounds, Kings Road, Hurst Cross. 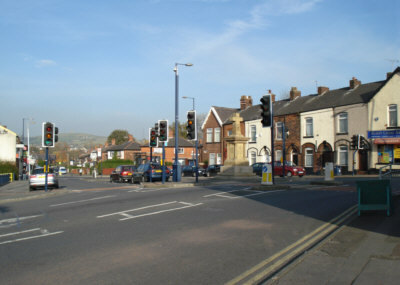 Hurst Cross, at the junction of Kings Road, Queens Road and Lees Road. 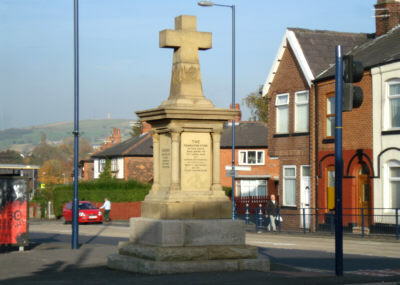 A closer view of Hurst Cross. 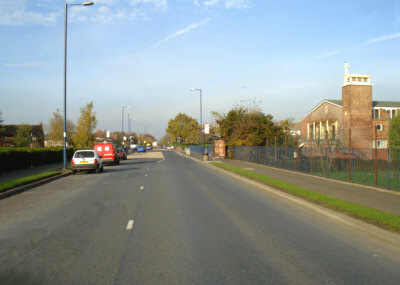 Hartshead Pike can be seen in the distance. 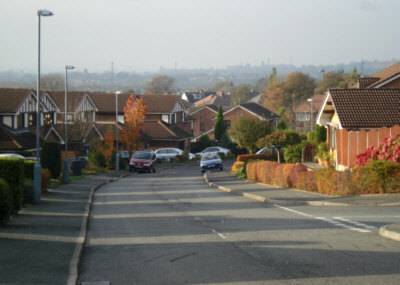 Looking along Lees Road towards Oldham, with St Christophers Church on the right. 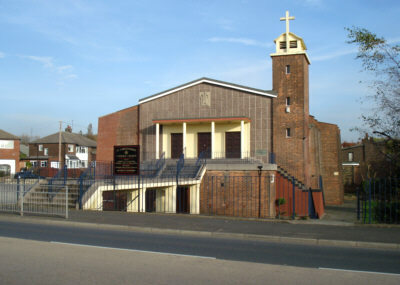 St Christophers Church, Lees Road. The Mere, off Gorsey Lane.